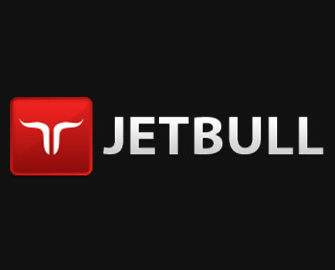 Jetbull – Exclusive Mobile Free Spins! Play on the go and get bags of Free Spins! There are a staggering 2,000+ casino games you can play on Jetbull, from almost anywhere from a large range of game providers. Why not enjoy this feast of spins on your mobile or tablet? Jetbull’s mobile version is easy to use and perfect for playing on the go. And now there is another reason to play from your mobile device because every time you deposit and play on the Mobile platform you earn Free Spins, which can be used on all Netent Touch games. Awesome ongoing campaign at Jetbull that will reward all players, who deposit and play on their mobile device, with up to 200 Free Spins on Netent Touch games. The Mobile Free Spins can be granted only once per player per week. Claim your free spins after meeting the wagering targets by sending an email to [email protected] and they will credit them within 24 hours. Players from Netent restricted countries are not eligible for this promotion. Wagering requirement is 30x FS winnings within 7 days, subject to the Jetbull bonus terms and conditions. Launched in 2007, the site is operated by EveryMatrix Ltd. under MGA Malta, Curacao and UKGC licenses. It offers a comprehensive gaming and betting hangout with Casino, Live Casino, Sports, Live Sports, Virtual Sports and Lottery. The huge range of casino games are available on desktop, mobile or tablet and from some of the best providers such as Netent, 1x2Gaming, Betsoft, Booming Games, EGT, Genii, Endorphina, Gamevy, GameWay, Habanero, Hybrino, iSoftbet, JoinGames, Kiron, Lega, Merkur, Microgaming, MrSlotty, Multislot, NextGen Gaming, NYX Interactive, OMI, Pariplay, Play’n GO, Playson, Quickspin, Spigo, Spinomenal, Stakelogic, Vivo, WMS and WorldMatch. The Live Casino is powered by Netent Live, Authentic Games, BetGames, Evolution, Ezugi, Lucky Streak, Vivo and XPro.